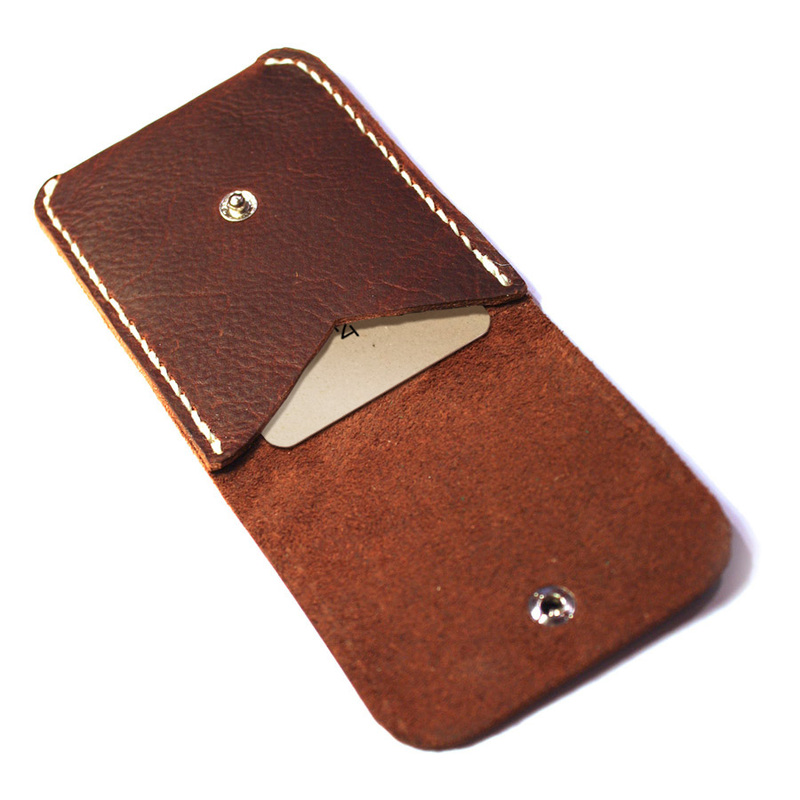 Soft 4-5 oz leather flat card wallet with flap. 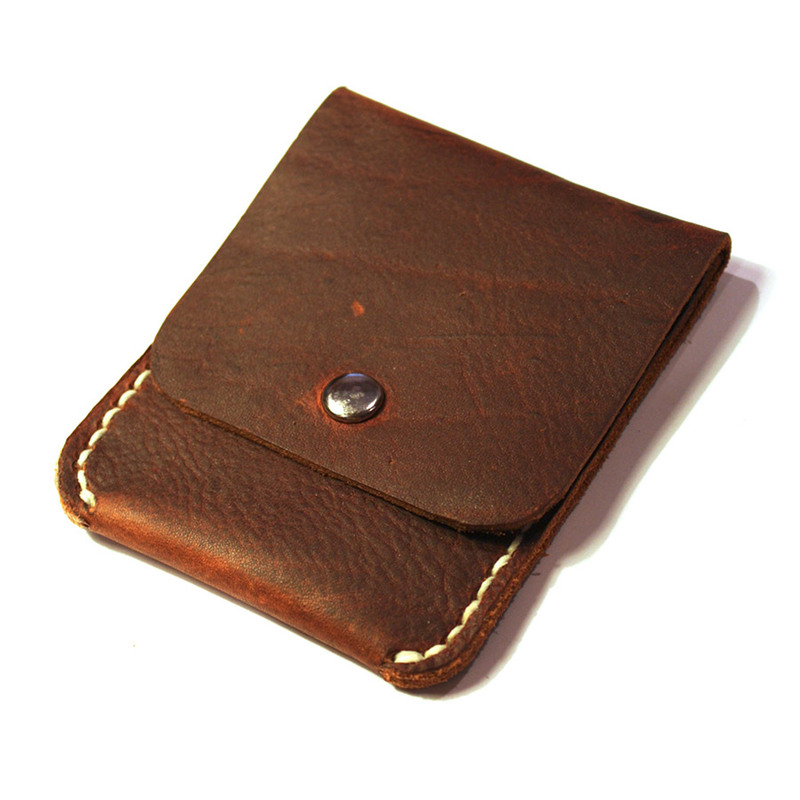 The wallet features a studded flap closure. Available in tan, deep tan and rich dark brown hide. Price exclude postage and packing.